Dr. Carl Boylen is a specialist in pulmonology in Los Angeles, California. He graduated from University of Cincinnati College of Medicine. He did an internship at Charity Hospital and a residency program at the same institution. 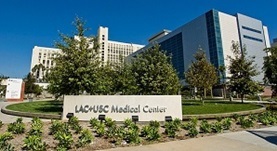 After this, he did a fellowship at Los Angeles County – U S C Medical Center. The doctor is board certificated in internal medicine and pulmonary disease. Dr. Carl Boylen has contributed to 3 publications. Micronodular radiographic pulmonary pattern in metastatic medullary thyroid carcinoma. Afshar, K., Alalawi, R., Boylen, C. T.; J Natl Med Assoc. 2007 May. Successful treatment of Wegener's granulomatosis during pregnancy: a case report and review of the medical literature. Dayoan, E. S., Dimen, L. L., Boylen, C. T.; Chest. 1998 Mar. Nonspecific interstitial pneumonitis mimicking Pneumocystis carinii pneumonia. Sattler, F., Nichols, L., Hirano, L., Hiti, A., Hofman, F., Hughlett, C., Zeng, L., Boylen, C. T., Koss, M.; Am J Respir Crit Care Med. 1997 Sep.